Microsoft wants to regain its lost market share. It has recently launched Surface Tablet. In a mysterious event organized in Los Angeles, this tablet was marketed as an iPad killer. The tablet would be released for public in the second half of 2012. The tablet has been designed and engineered by experts at Microsoft. The design of Microsoft Surface tablet is inspired by iPad. There are two versions of Surface tablets- Surface for Windows RT and Surface for Window 8 Pro. Both these tablets have impressive designs. It is the internal architecture and power that separates both the versions. The front face of the tablet has a sleek black glass made of magnesium alloy chassis. There is the Windows logo on chassis. 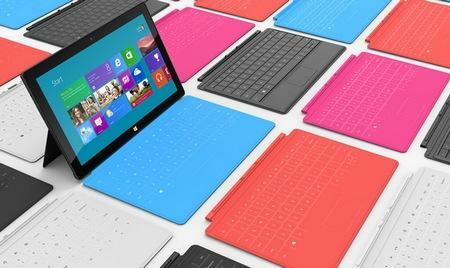 Microsoft Surface Tablet has a 10.6-inch screen. A space of half inch is left in the margins so that you can hold the Surface comfortably. The Windows logo is basically a touch button here that activates the start screen. There is an in-built stand in the back that looks hinge-like. This hinge is held by an array of magnets for support. The smart cover is similar to iPad 3 cover. This removable cover has a keyboard on it. A number of ports are given at the sides. There is a magnetic keyboard connector at the bottom side of Microsoft Surface Tablet. The upper side of screen has a power button. There are speakers on both sides. Other features include dual microphone jack, micro SD Card Slot, USB 3.0 port and Micro HDMI port for HD output. 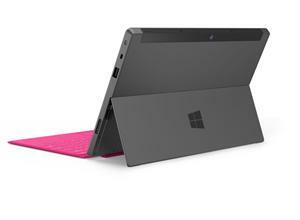 The USP of the Surface Tablet is its touch cover. This ultra-thin cover is inspired from the Smart Cover of iPad. The cover has a keyboard imprinted on it. The keys have about 7 layers of metals which work by sensing pressure and speed. Microsoft claims that this keyboard can be easily used by users having typing speed of more than 50 words per minute. The touch cover is available in five colors- white, black, red, cyan and magenta. At this point of time, Microsoft is a bit cagey about the Surface Tablet. Due to this reason, no one has been able to use or review this product extensively. The company has successfully produced an awesome product which may take on the iPad 3 but one thing that might hurt its growth is its high price. This article talks about the technical specifications, features, price and performance of Microsoft Surface tablet. There is so much hype about this tablet in the market that I have included hands-on-review of this device here. This tablet has marked the entry of Microsoft in to the hardware market and the company has lot at stake with this tablet. Let's find out more about the interesting tablet. This week is considered to be a busy week for Microsoft and today it had entered into the field of hardware by announcing the release of new Surface tablet for Windows 8. Read this article to know more details about Surface Table. 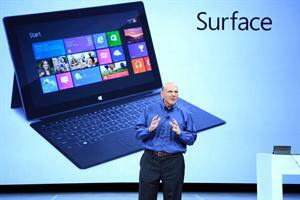 I have also mentioned the features of Windows 8 Pro and Windows RT versions of Surface tablet. With announcement of two new Surface tablets – ‘Surface RT’ and ‘Surface Pro’, Microsoft shown its determination to enter tablet market. Surface RT will be the Windows RT based tablet to be released first, followed by more advanced Surface Pro that will be running Windows 8 OS. This post covers both of the tablet version’s specifications, common features and highlights of surface tablet. In this article we will see the complete specifications and features of Microsoft Surface Tablet. Read about the cool features of this Windows based tablet and know what are the pros and cons of this tablet. Thanks for letting us know about the new gadget from Microsoft. Coming from a renowned software firm who know what a software needs in hardware to support the functionality it aims to provide, we can hope that the tablet will have better hardware. Hopefully, Microsoft gives a thought to make the pricing affordable.